I clicked this pic near Ega theatre... 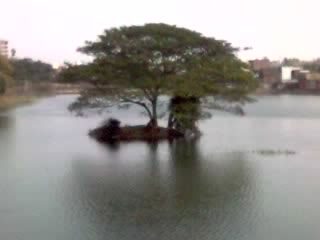 Wonderful aint it... Alone in the middle of the lake... Strong as ever... Oblivious of the happenings around..